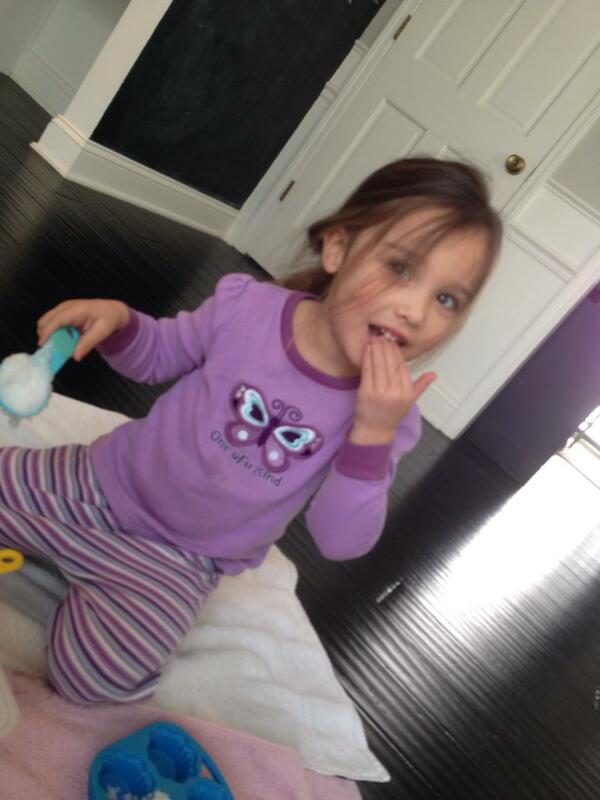 Chuckie Cheese, Mommy and Daddy, the castle at Disney World, Mommy! — My family, and playing Super Mario. 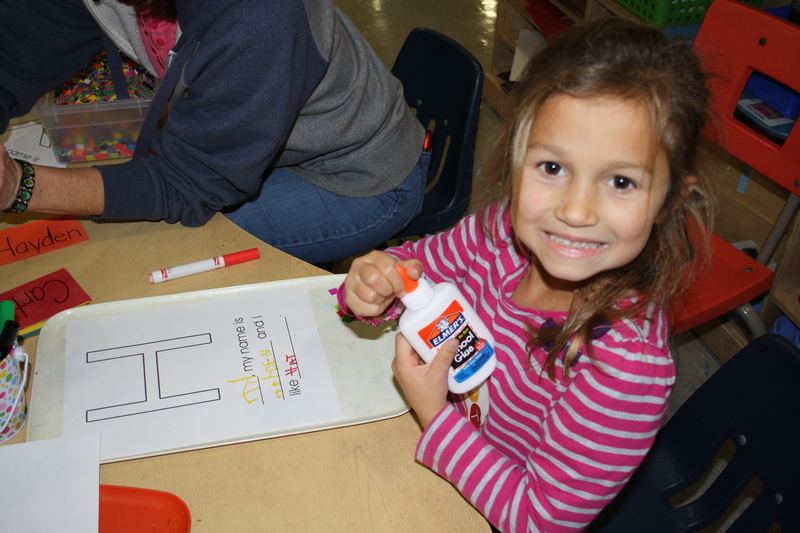 I hope you enjoy a few more photos of the kids doing some writing in the classes. Painting is a form of writing. 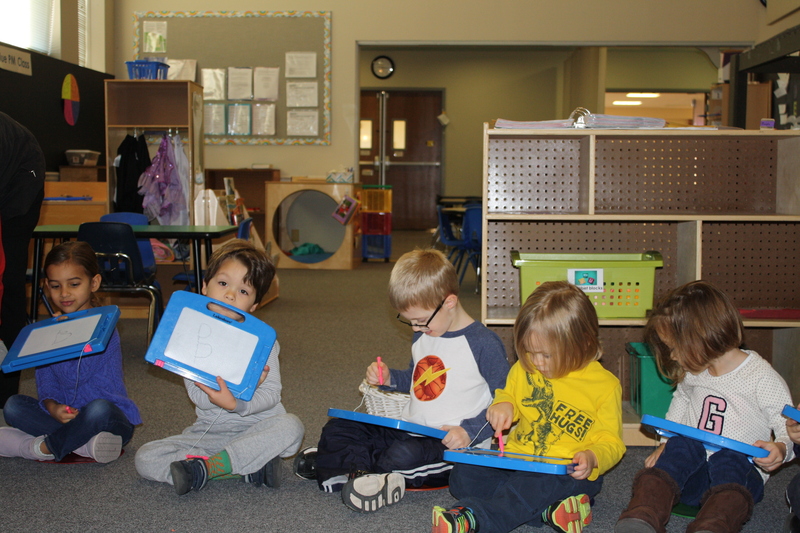 Learning to control an instrument to move it where you want are important steps in being able to form letters. 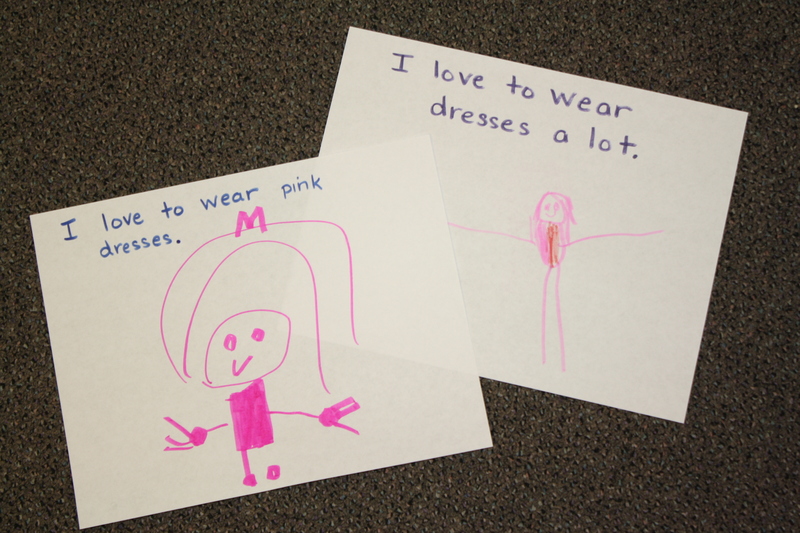 Different mediums to write on will speak to different children. A chalkboard and Magna-doodles are fun alternatives to paper. 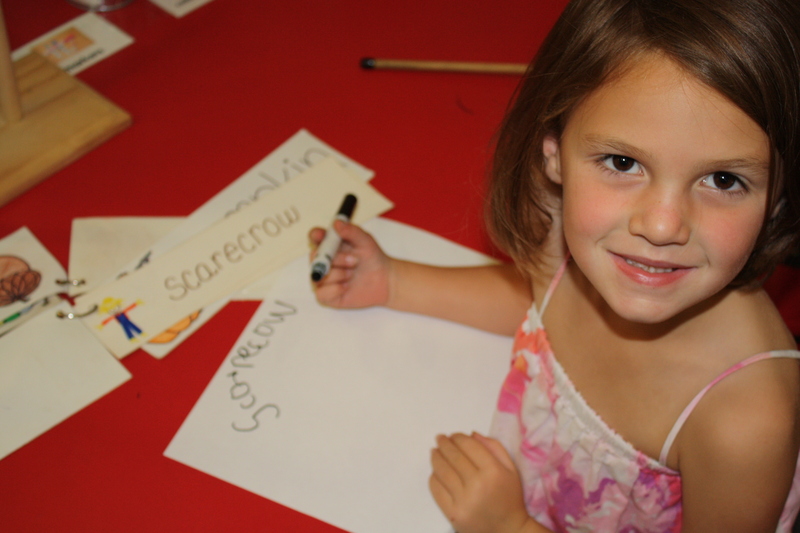 Writing together and having sample words often promotes more interest and a longer attention to the task. 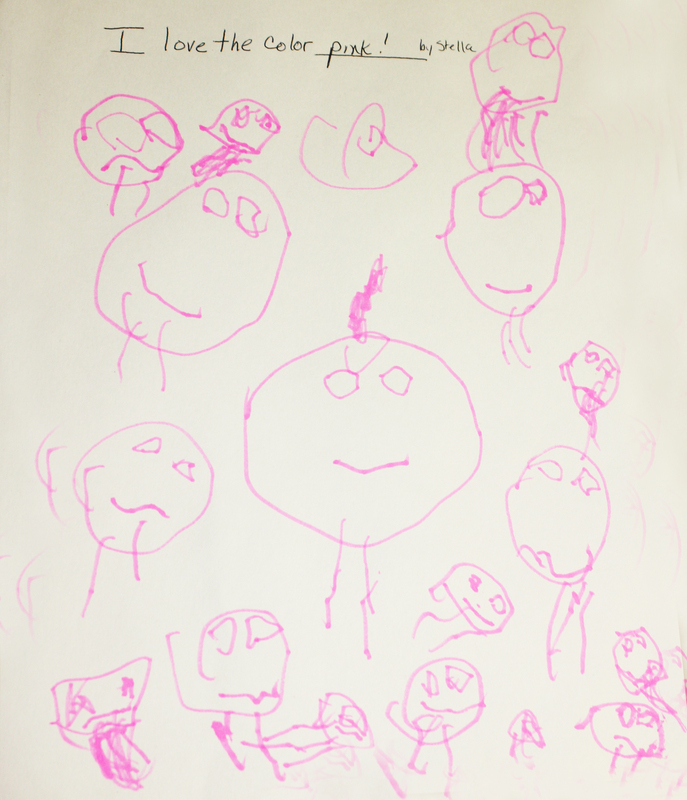 Is your family writing together? Are you joining your children in writing the things you love. They might want to know what you love to eat, where you love to go, how you show love . 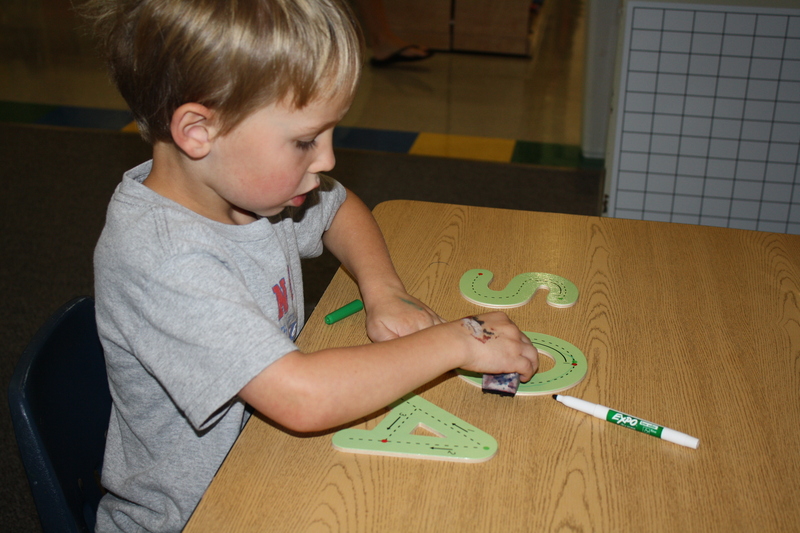 . .
Having and using letters in the environment is an important way to encourage emergent literacy in young children. 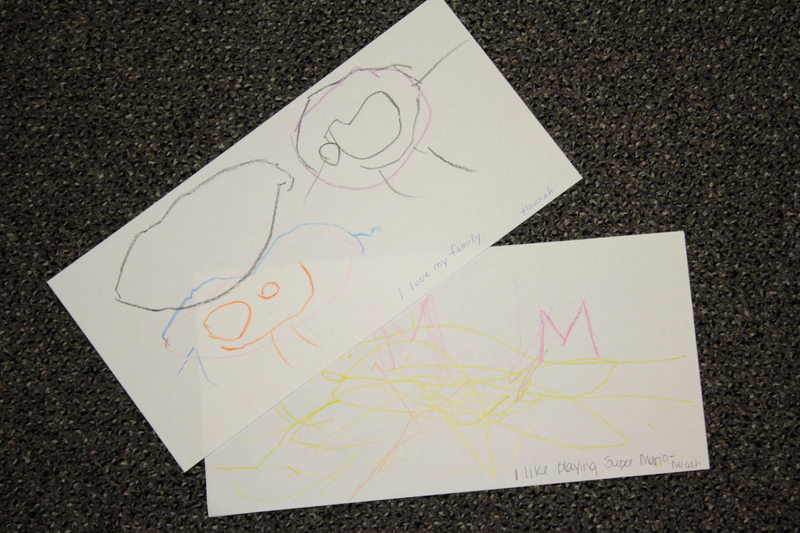 Everyday exposure gives children a chance to see letters in a meaningful context and offers opportunities to begin forming understandings that letters make words, words have spaces between them and words work together to make a thought or sentence. 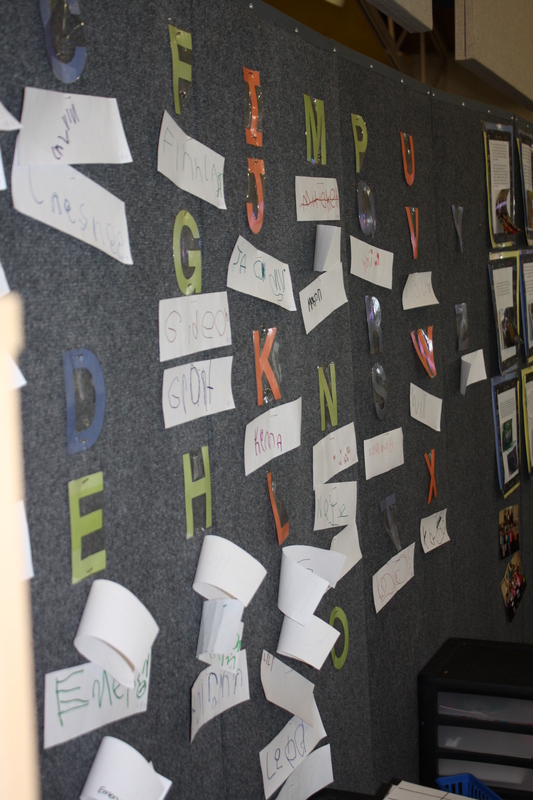 I took a photo walk through the Blue and Purple classroom and found so many fun ways letters are used in the classroom and incorporated into the children’s daily routines. I’ll share a little about how they are used and how children can learn from these different exposures to the printed word. 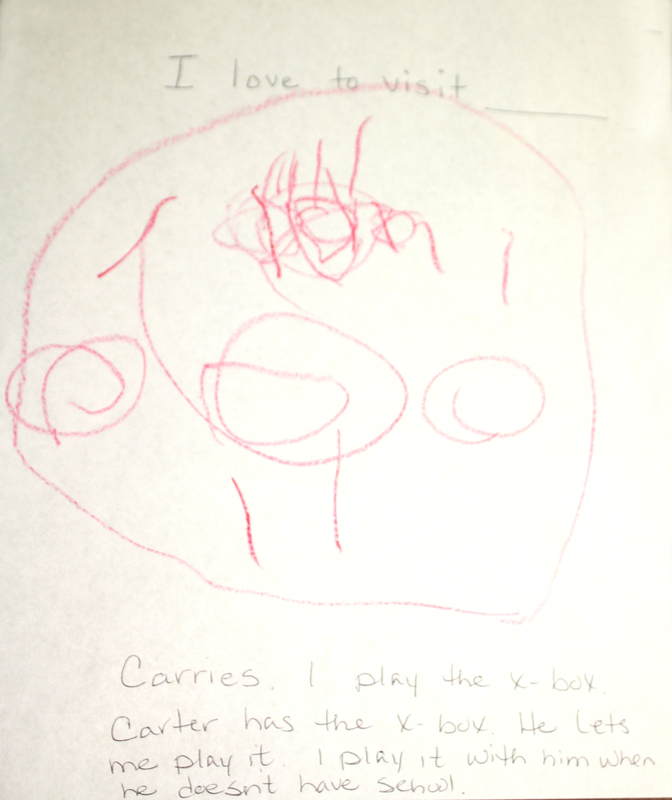 Often a child’s first meaningful connection to letters is through their name. 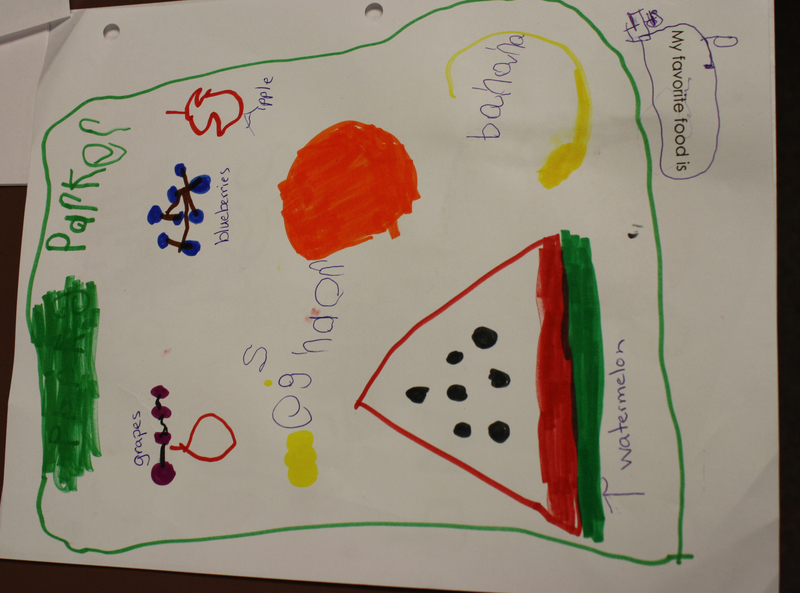 We use children’s written name often throughout the day. This letter/friend board and the family book used in the safe place are just two examples. Knowing the first letter of their name is a pretty big deal. Once they know their own they will quickly move on to recognizing their friends names too. Where could you post the names of all your family members? Place mats (as easy as writing everyone’s name on a piece of paper) at the table, names on the fridge for jobs of the day, names posted on each persons bedroom door are just a few ideas for taking this idea into your home. 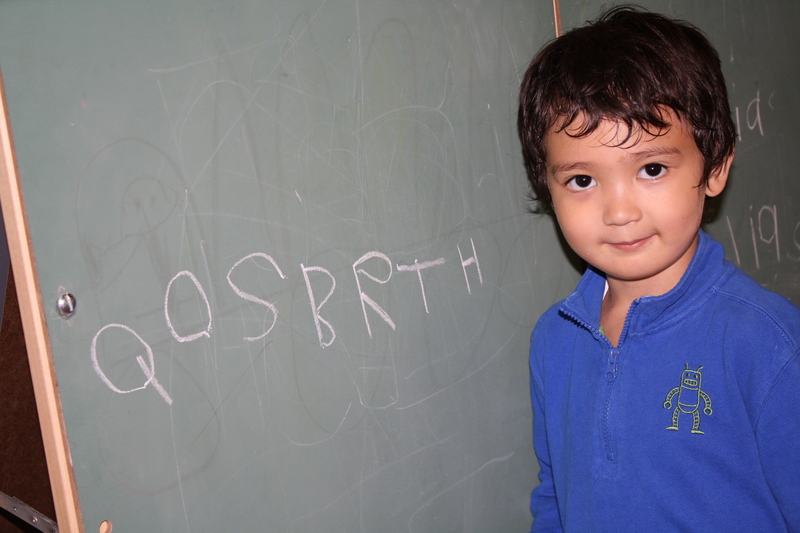 Using words frequently will give children a chance to begin to recognize words other than their name. 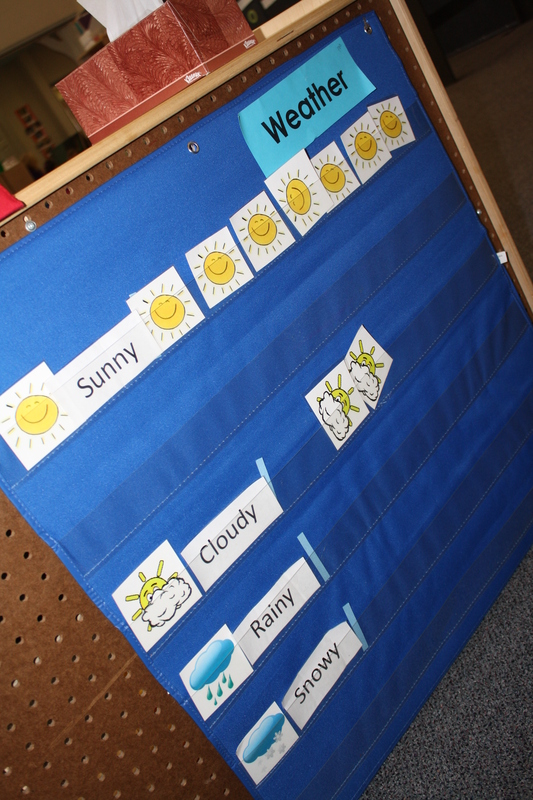 On the weather chart above there is a photo prompt but you can be sure the children are noticing that Sunny and Snowy both begin with the letter S. The sentence on the safe place that encourages children to name their feelings is another sentence they will become very familiar with. 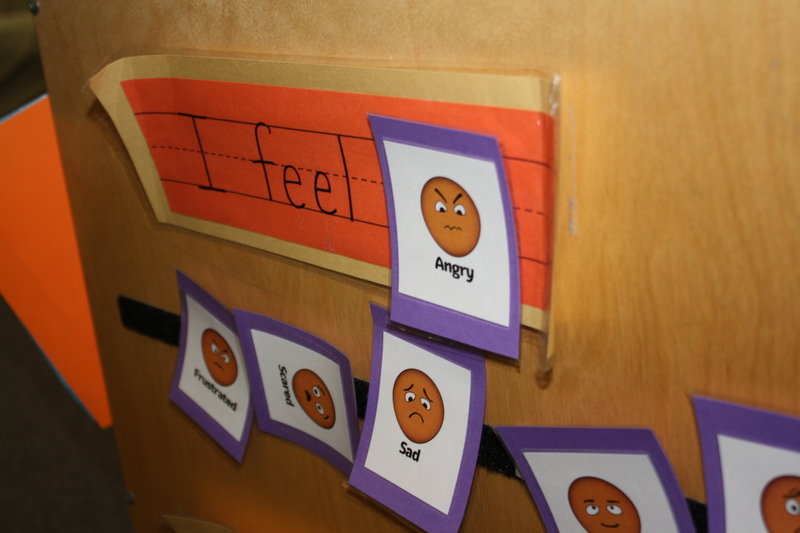 Perhaps an emotion board would be a great idea on the fridge (or use an old cookie sheet.) This will have the added benefit of offering your child a chance to verbalize more about his or her feelings. Posting the words of a song or poem that your child enjoys will give you opportunity to practice moving your finger or an unsharpened pencil or spatula along as you say the words. This would offer the extra benefit of encouraging singing in your home. You know I like that idea! Books! That seems obvious doesn’t it. Having books in the home and being read to has often been linked as one of the most influential things parents can do to ensure a child’s success in school. I loved looking at this class’s book shelf and seeing not only fiction story books but also books that focus on rhyming words, definitions and even an atlas. Reference books offer a whole different kind of reading experience. Finally, I pulled out one of the class books the children helped make as a class Mascot (a stuffed animal) got to visit the different homes. This is one of those meaningful writing opportunities similar to those we are focusing on through the month with our “Love Letters” challenge. By the way, what’s your plan for writing today? Today we had a love-filled worship time. 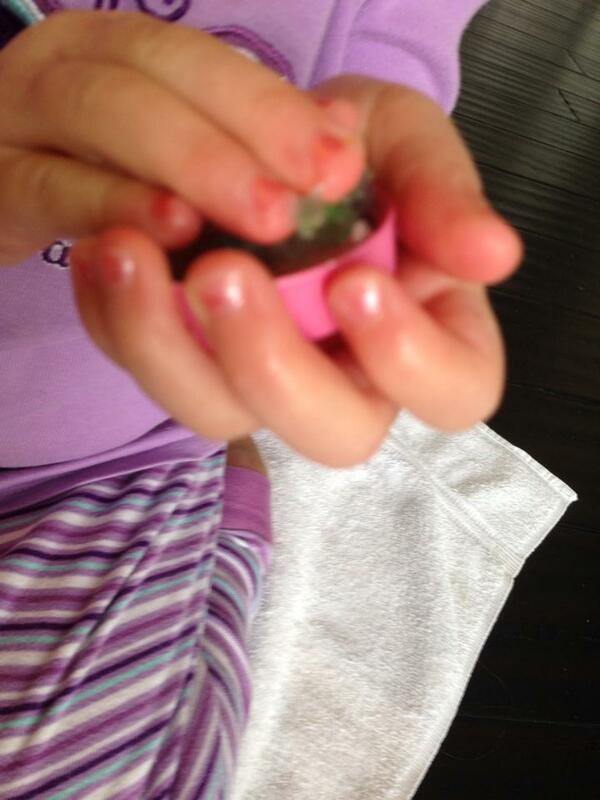 The kids were excited and curious as they came in and saw pitchers of pink water, a tall glass vase and a red tub. What could we be doing? Talking about L-O-V-E! 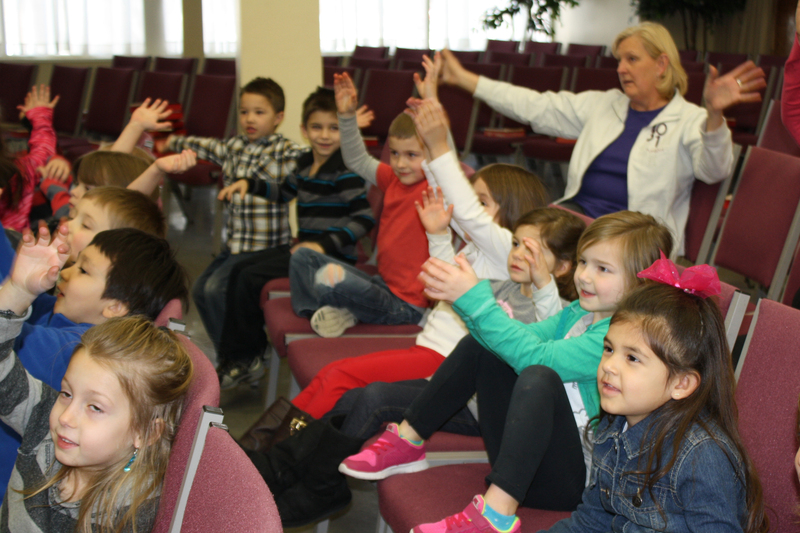 “But, where does our love come from?” Children at both services shouted out, “Jesus!” (I know that’s the go-to answer during a children’s message but I’m hopeful our kids truly understood this concept.) I read a scripture from the Bible. May the Lord make your love to grow and overflow to each other and to everyone. I filled a vase with visual love (rocks.) 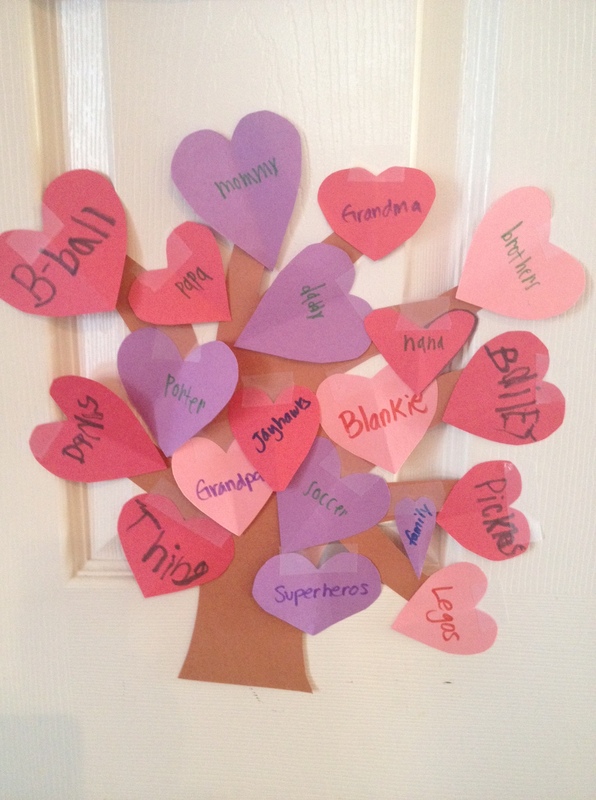 We talked about things we do that shows our love to others (God’s love that’s overflowing) and saw how it fills up a heart (our glass vase.) 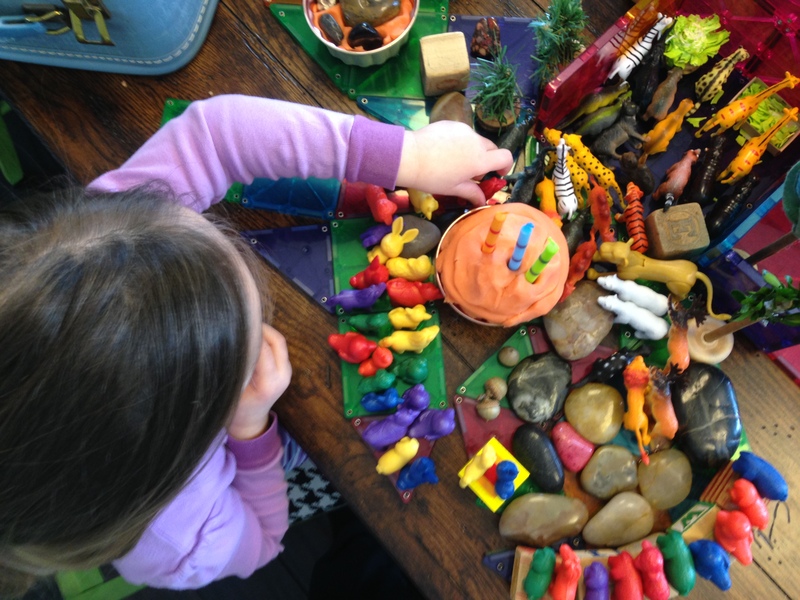 Some of the things mentioned were: sharing toys, saying “I love you,” asking a friend to play, helping someone, drawing a picture or giving a Valentine, telling someone you like playing with them and so much more. Eventually the vase was full. But, everyone always has room for more love, right? This time I used the pink water to fill in around the rocks. The children loved watching it fill to the brim! Then we remembered that God fills our hearts so full it overflows so we can share it. It was great to watch the pink water flow over the top of the vase! 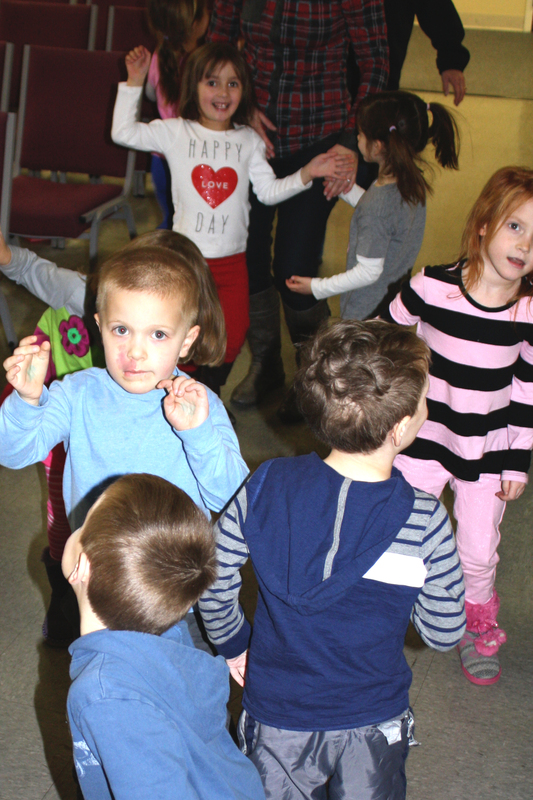 We danced to a great song about sharing God’s love: Give it Away. I am sure your child will dance and enjoy this song at home as well. Be sure to spin, turn around and turn upside down when it says to and then we gave it away by giving out High Five! 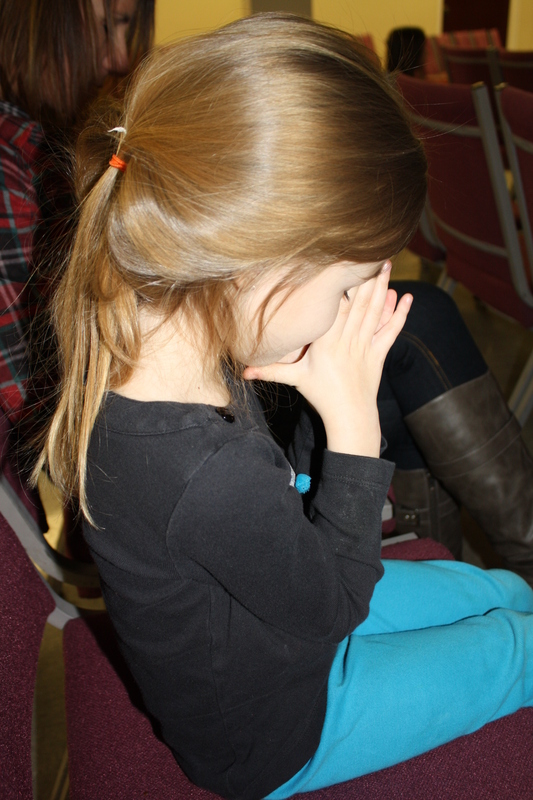 Carrie Laymeyer, the church Director of Children’s Ministries, closed our worship with a prayer to God! We really do thank you God for all the love you give us – so much that it overflows and we can share it to everyone! 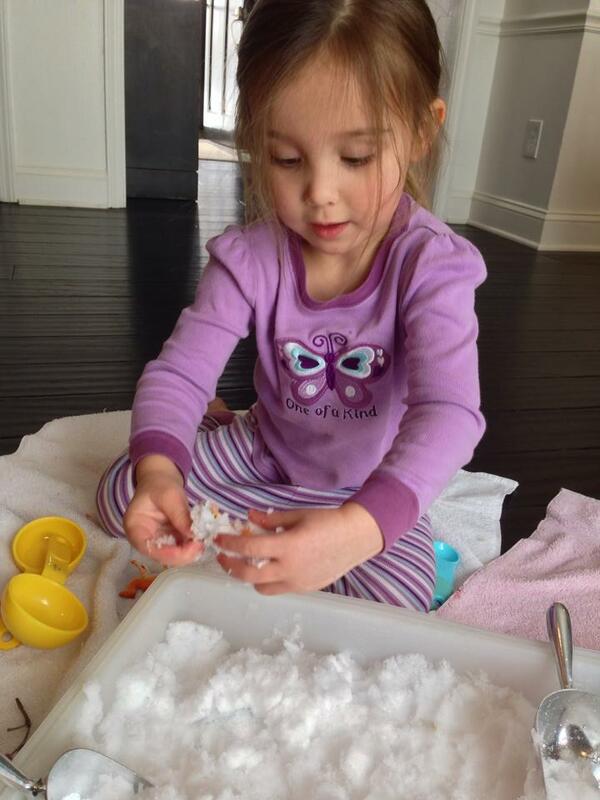 It is rare that it snows while the grandkids are here. So, the kids and I took full advantage of my day off from preschool to explore some fun snow play before they had to leave for home. I loved watching and supporting how the play changed as we went. I thought I would share a little about it. My snow boots are under my desk at preschool and Wyatt probably couldn’t handle the cold very long so we opted to bring some snow inside. 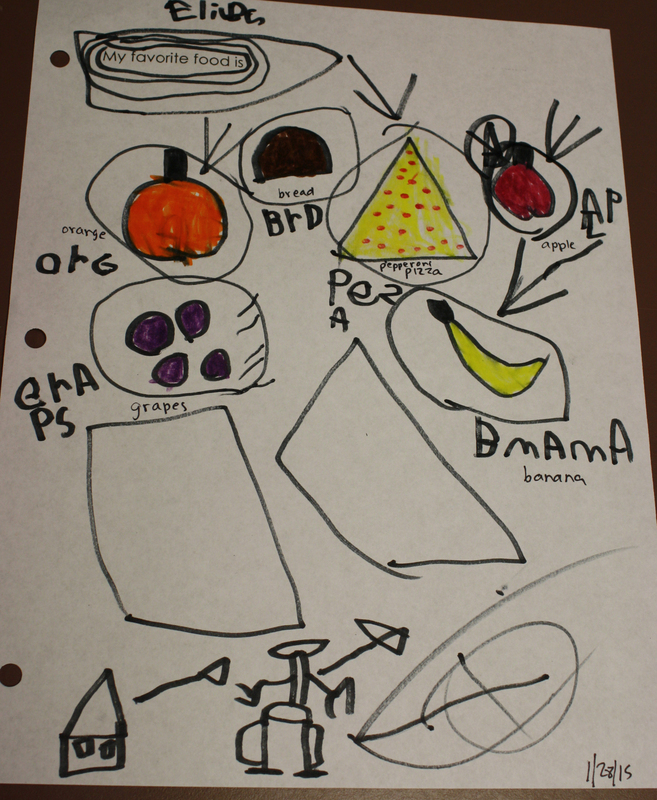 We started with some exploring, scooping, and “cooking” to begin the play. 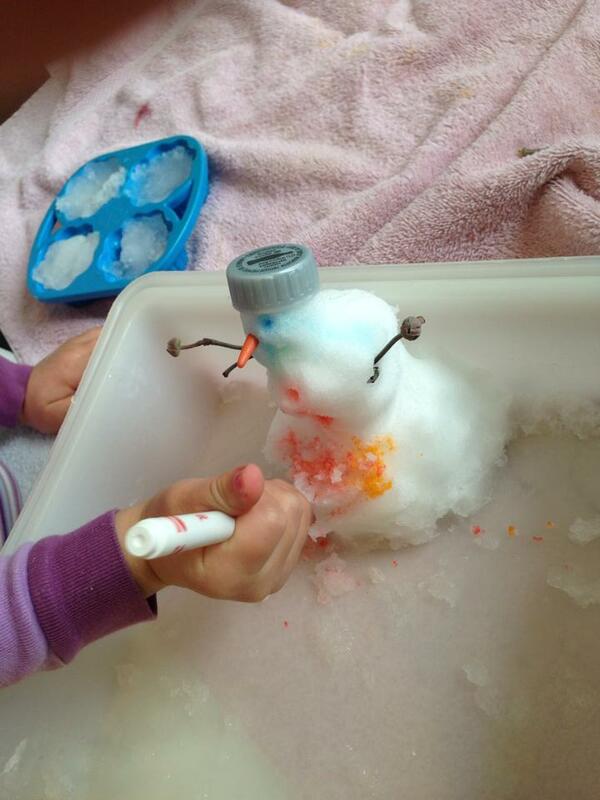 Then we decided to make our inside snowman. He had to be a little guy though. We couldn’t find anything small enough for the eyes and the mouth so we tried washable skinny markers. I bet you can imagine what happened next. 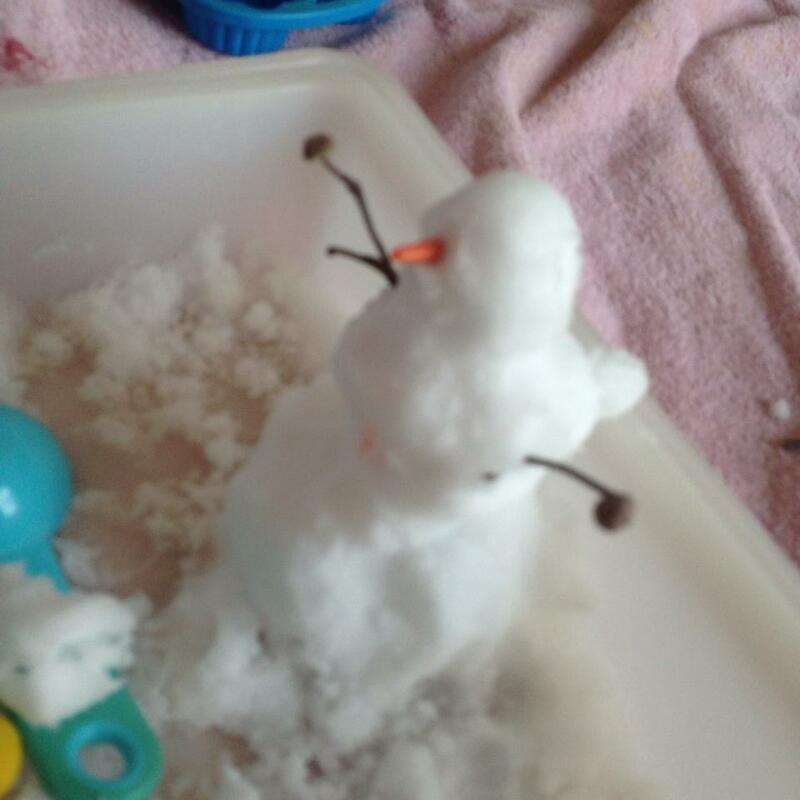 Goodbye snowman……. but hello color investigation. Also, it was surprising to Anna that the snow in the snowman’s body was much harder to poke into than the other unpacked snow. We decided we liked the color so much we wondered what would happen with fat markers. Oooh, lot’s more color! 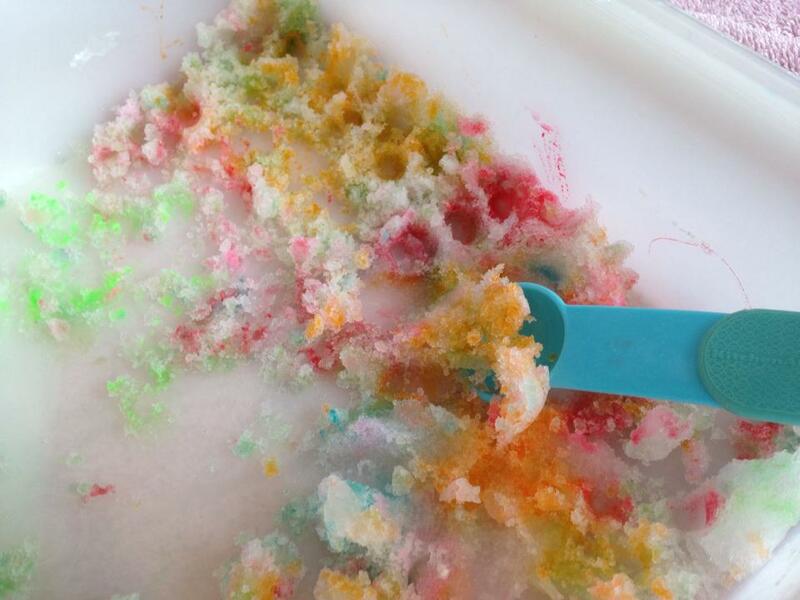 Oh no, the colored snow was getting kind of yucky looking. And brownish colored. (Sorry, no visual image available but I bet you can imagine it.) 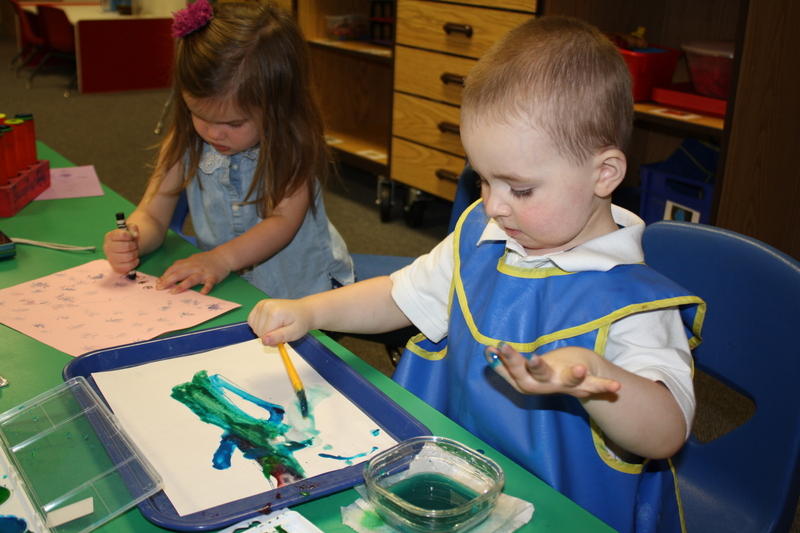 We talked a little about the science of colors and how they change. It was okay though. There was still lots of new fresh snow available. This time we got out the small animals. 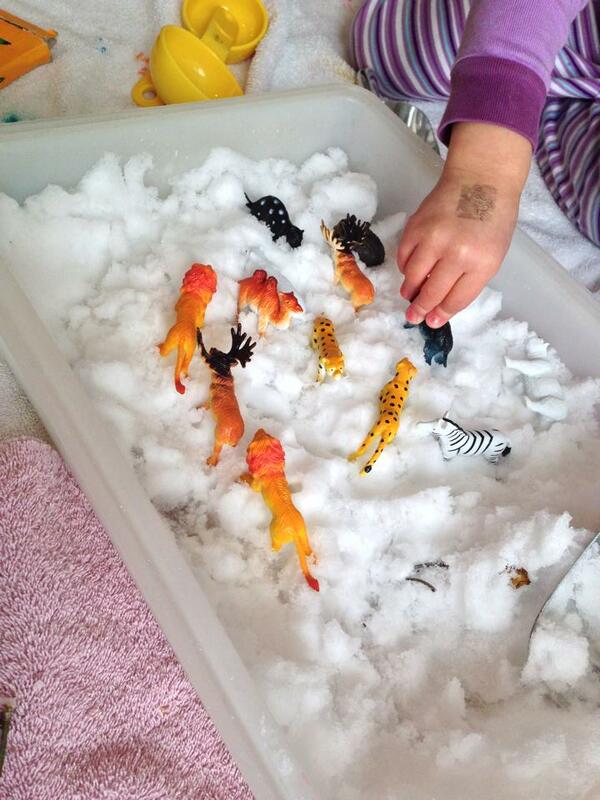 At first it was fun to just play with them and push them into the snow. Soon, though, we decided to play hide and seek so Anna closed her eyes while I buried a few animals. 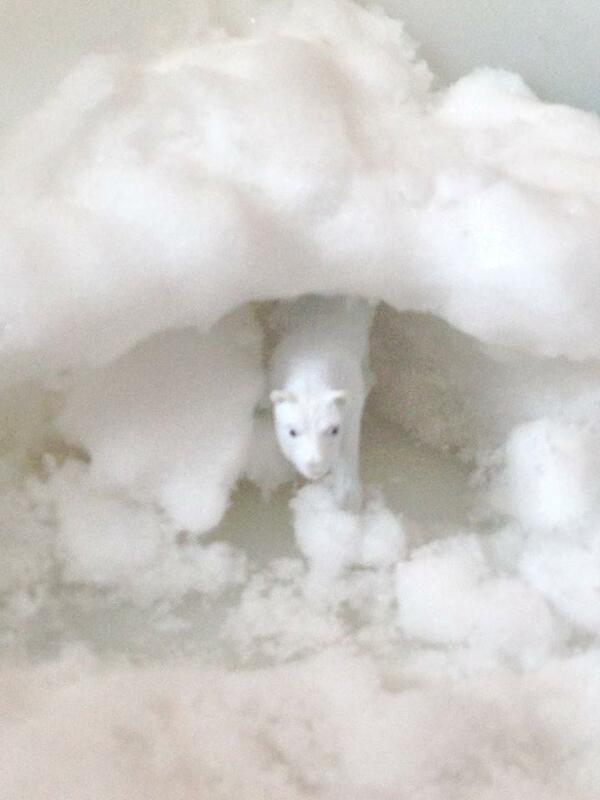 She found them but had a harder time finding the polar bear. Hmmm, a nice opportunity to talk about habitats and animal camouflage. Of course she got to have a turn hiding animals. 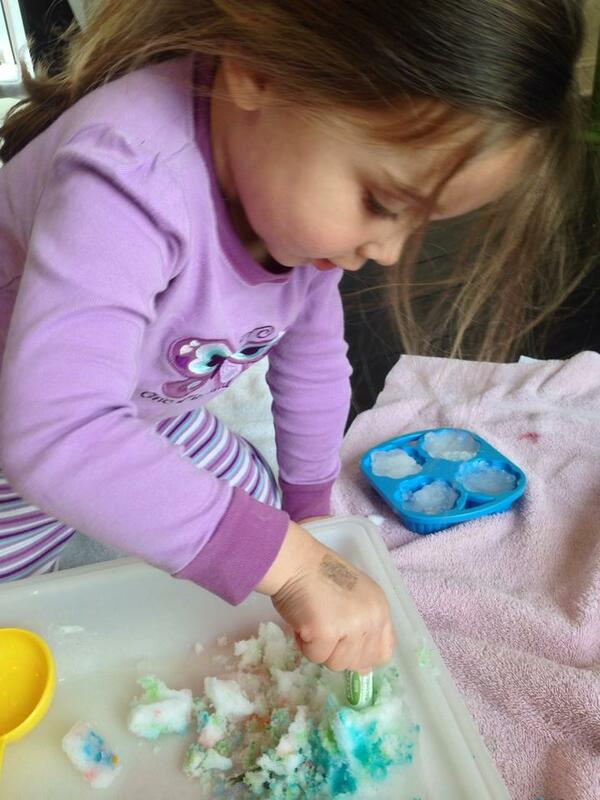 We followed that with a little more in-depth play with the polar bears. “My hands are cold.” To be honest I was surprised we had played this long without hearing this but, no worries. We just moved the animals to a drier and warmer place to play. 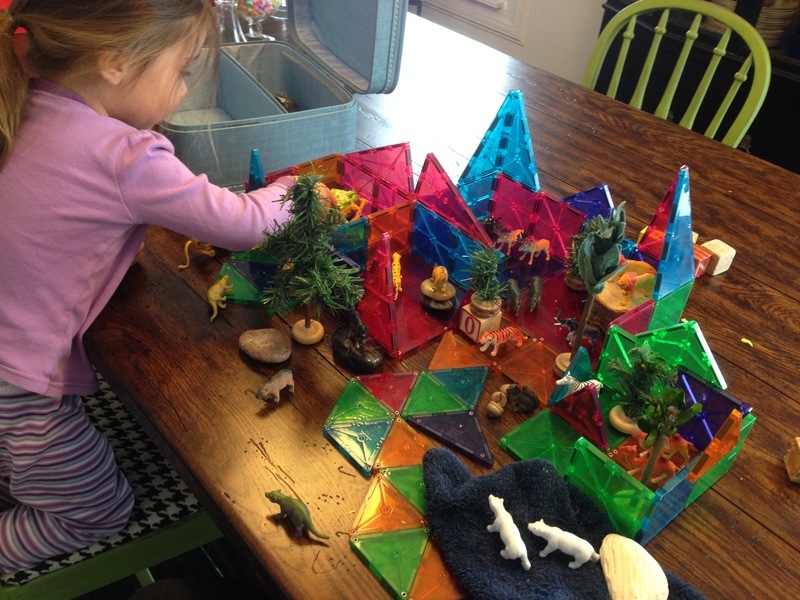 We used our magnatiles, rocks and some pretend tree we had made during another playtime to make rooms at the zoo for all the animals. You may also notice we added a playdough cake right in the middle of the party. This way everyone could have some. I’ll end with just a couple of observations. 1. 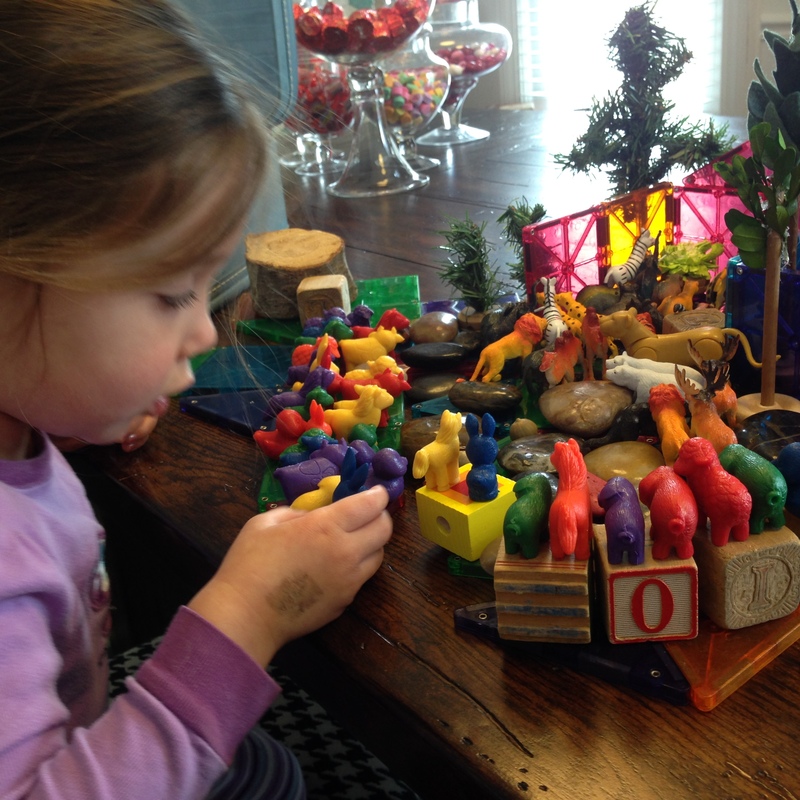 Notice our zoo is being built on a table. Sometimes kids like to play more at eye level than always on the floor. It also makes life happier (read easier and quieter with no screaming “No Wyatt.”) since it is a lot safer from little brother up here. 2. 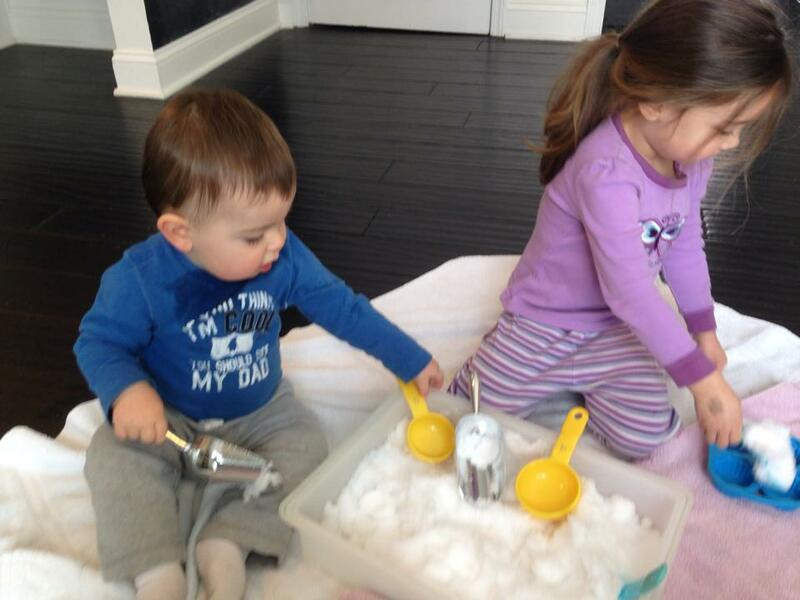 You’ll notice Wyatt was only included in the first couple of pictures of snow play. 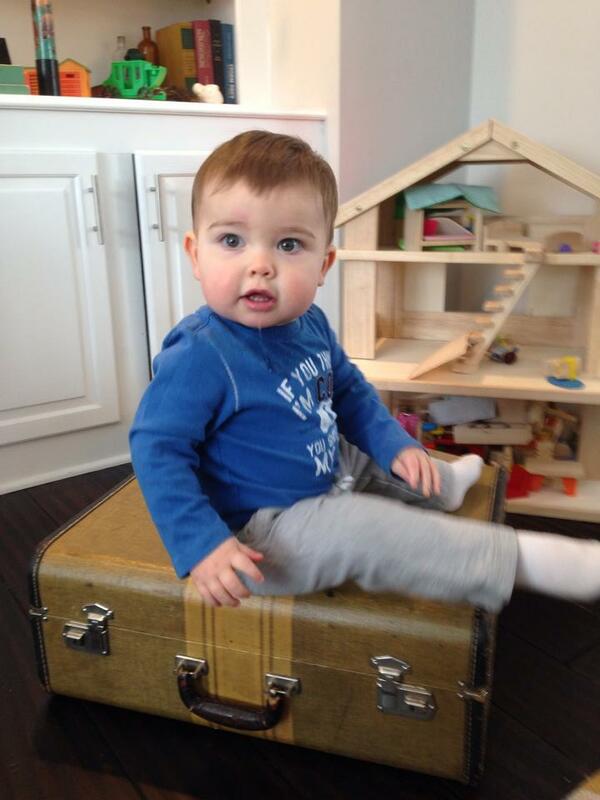 As is typical with one year olds, he was quickly off doing other things. I snuck a peek at his play and took this “too cute not to share” photo. Sadly, the kids are on their way home as I write this. 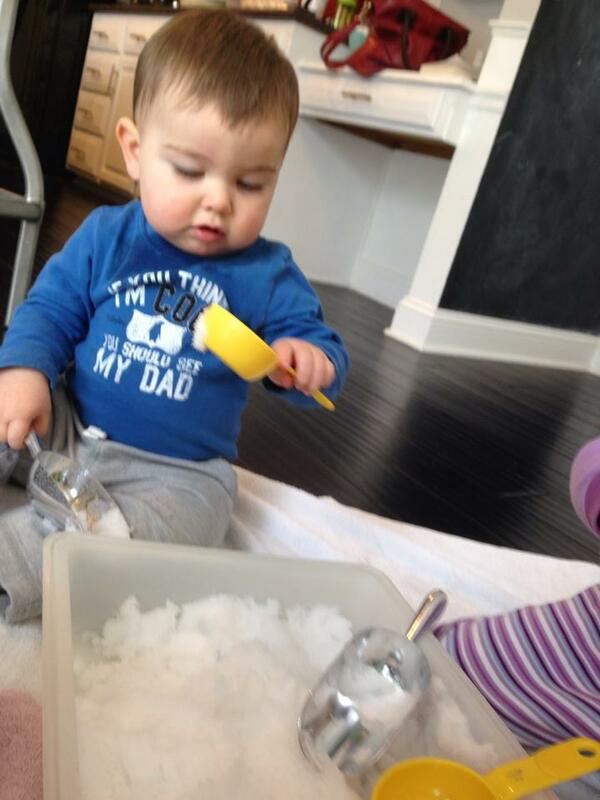 I would, however, love to hear how you enjoyed this snow day. 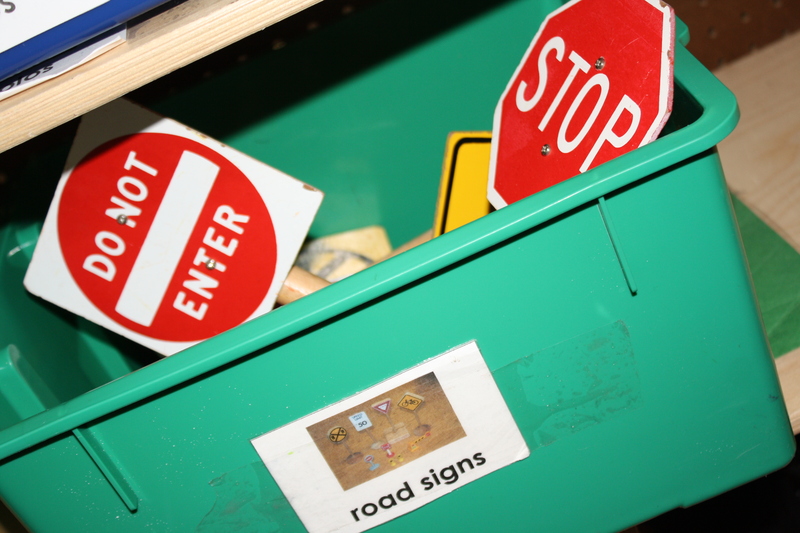 I am always filing away ideas for next time! Categories: Play, Uncategorized | Permalink. 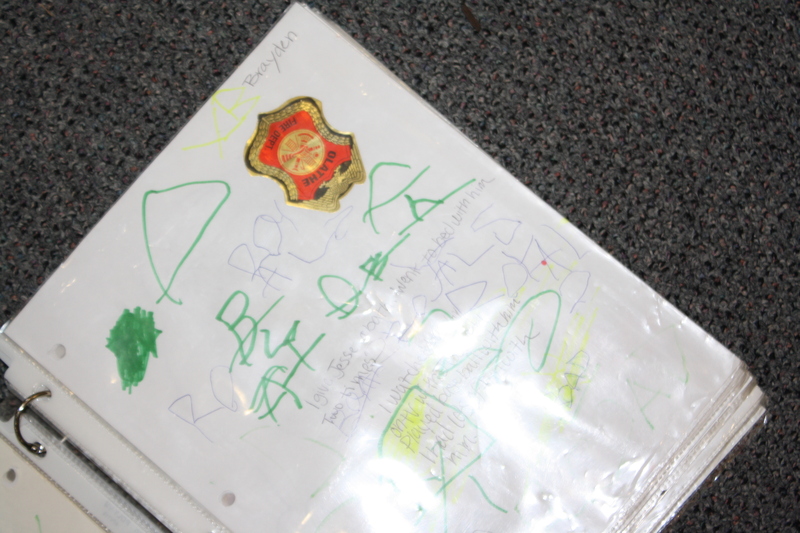 Our Red Class recently completed pages for their school journals. 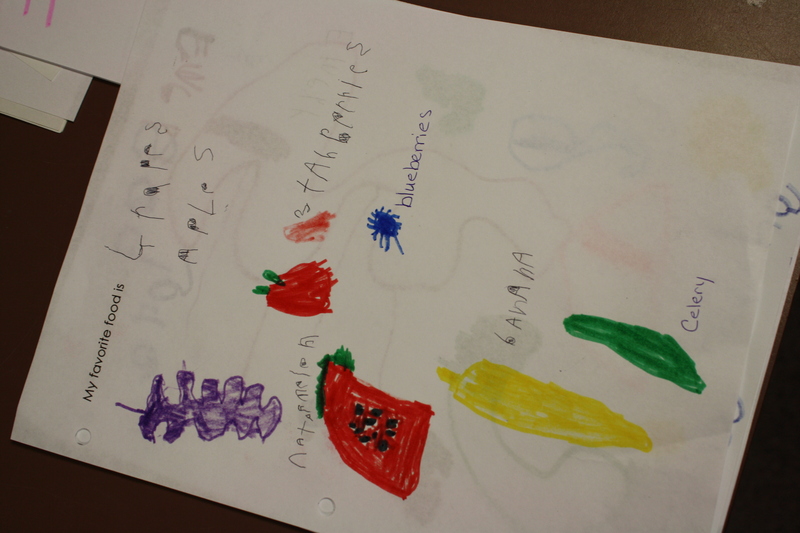 The page actually says My Favorite Foods so it didn’t use the actually use the words but I thought you’d enjoy seeing some of our oldest children’s work. Are you still doing some writing at home? Today would be a great day to write about what I love to do in the snow! 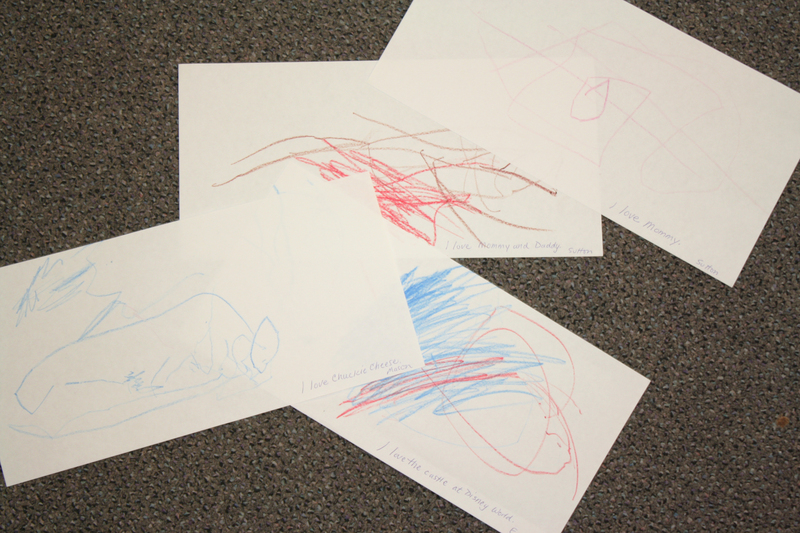 We have more pictures of children writing while at school. 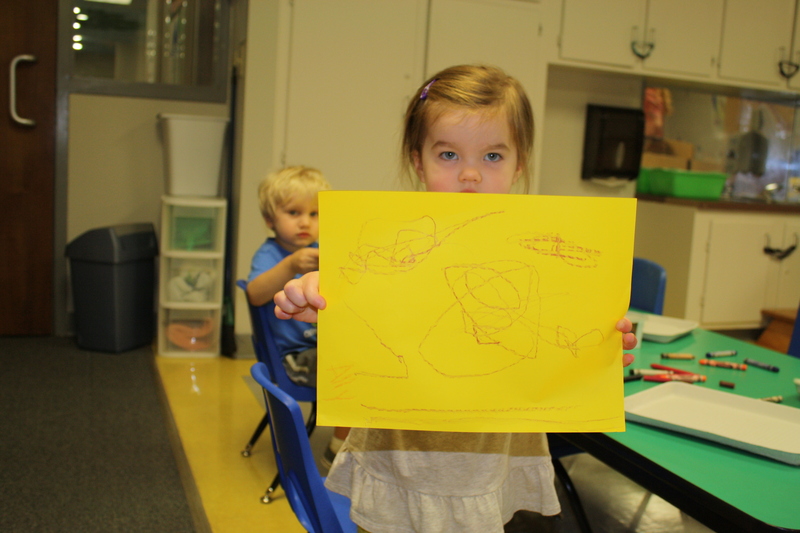 Doesn’t she look so proud of her writing! 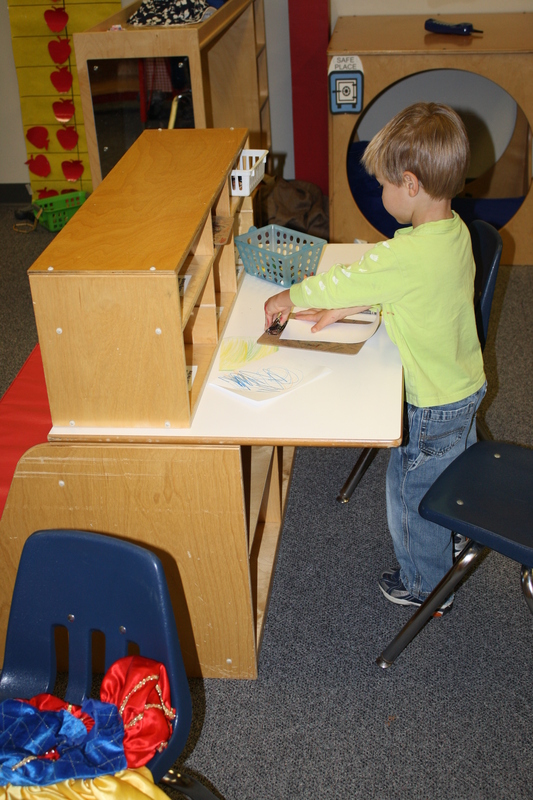 A writing center offers a chance for children to write when the mood strikes. 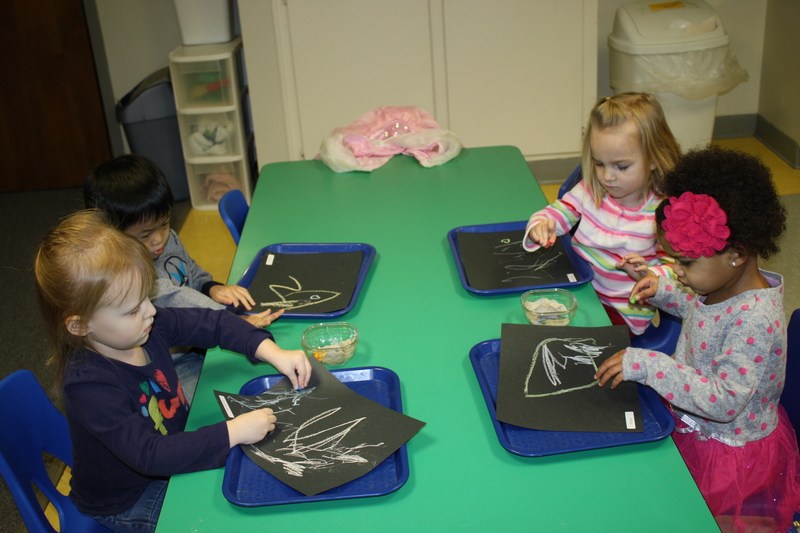 Writing with different tools (this time they are using chalk) brings new interest. 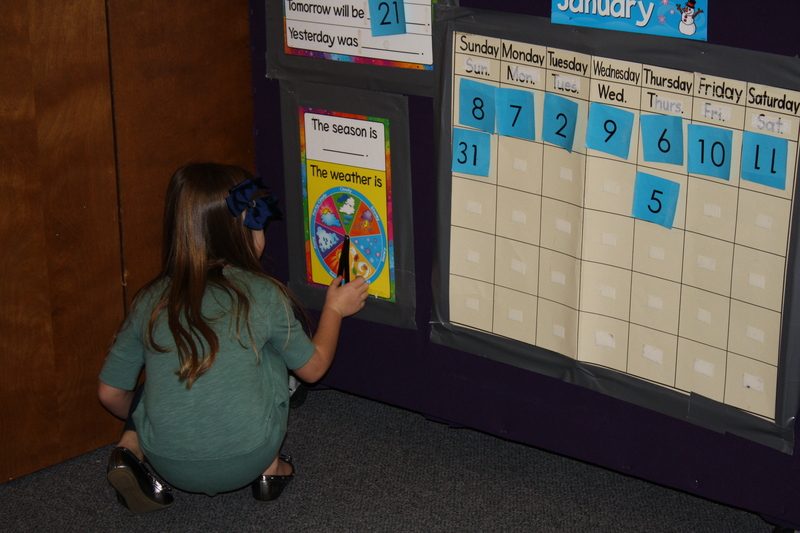 Using routines, like arrival time, to practice writing is an easy way to encourage more practice. 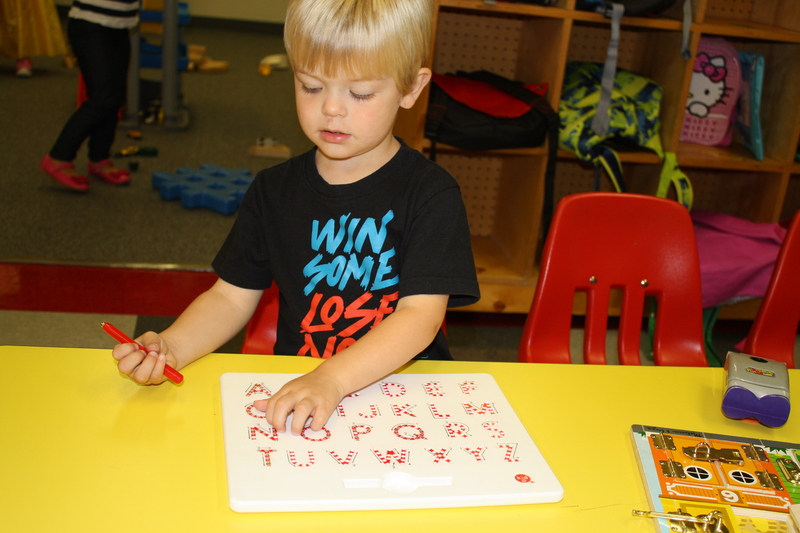 Playing with letters and print in a variety of forms (even those Christmas toy catalogs) gives children of all ages an opportunity to begin to experience the shapes that later begin to represent letters, sounds and words. 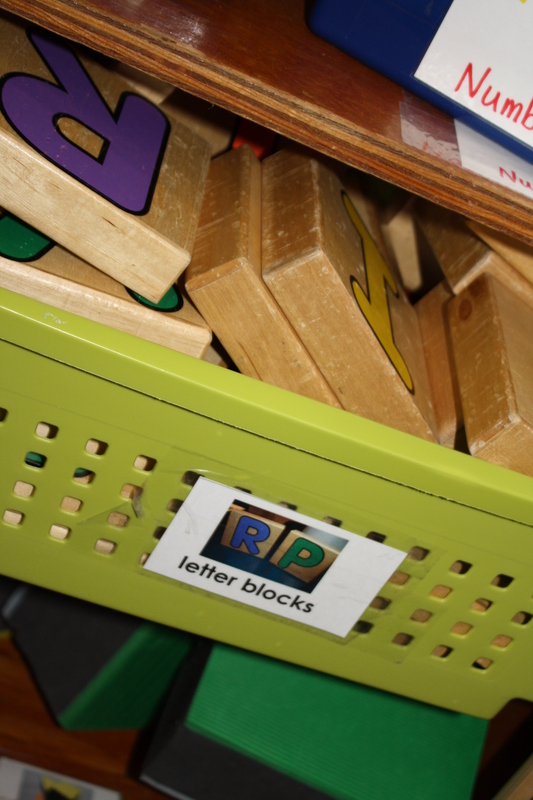 Don’t discredit those stand-by “oldies but goodies” such as the square letter blocks and magnet letters. Hang on to those old computer keyboards or even old cell phones. 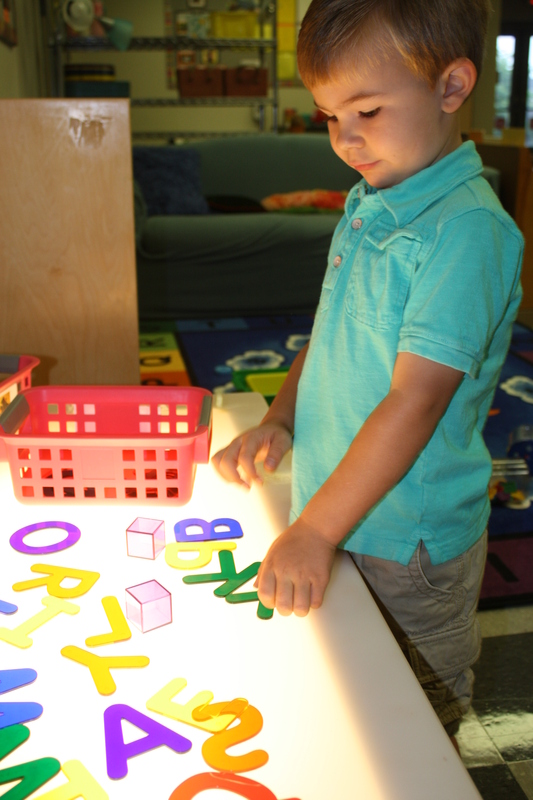 Did you know you have a light “table” at home? Well, actually, it’s called a window. Tape and colored paper look different with the light coming through. You can also use a dry erase marker to write on windows and mirrors. 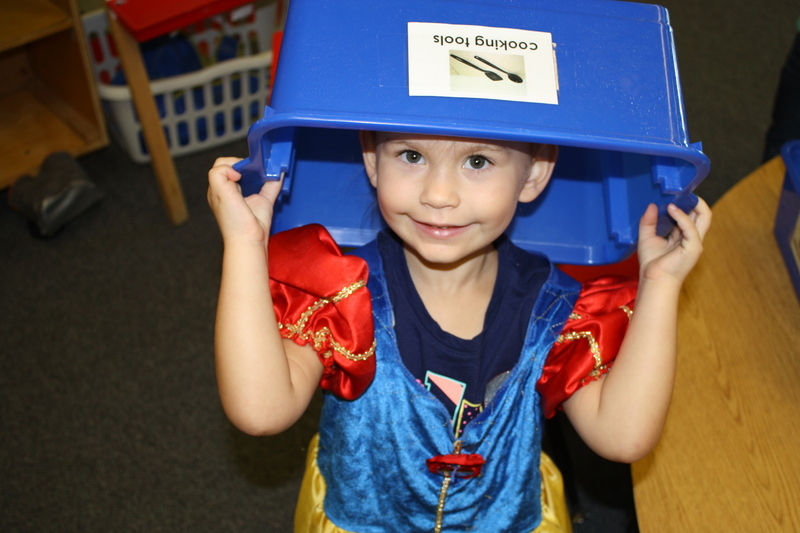 Even a bucket on the head (notice the label on the front) introduces a young child to the world of literacy.